Description: From 2 to 8 inches tall. 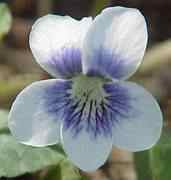 Flowers are usually a little over topped by the heart shaped leaves, which may be 3 to 5 inches wide. 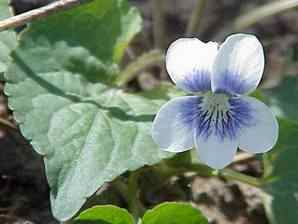 Flowers are commonly deep blue to violet with a lighter center. 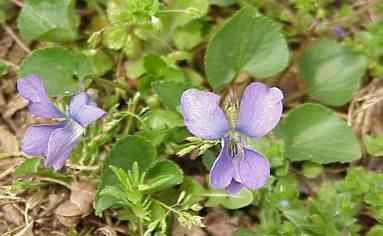 The color form shown below to the right is called Confederate violet.